Let’s start the blog with a post that I’ve wanted to write for several years. 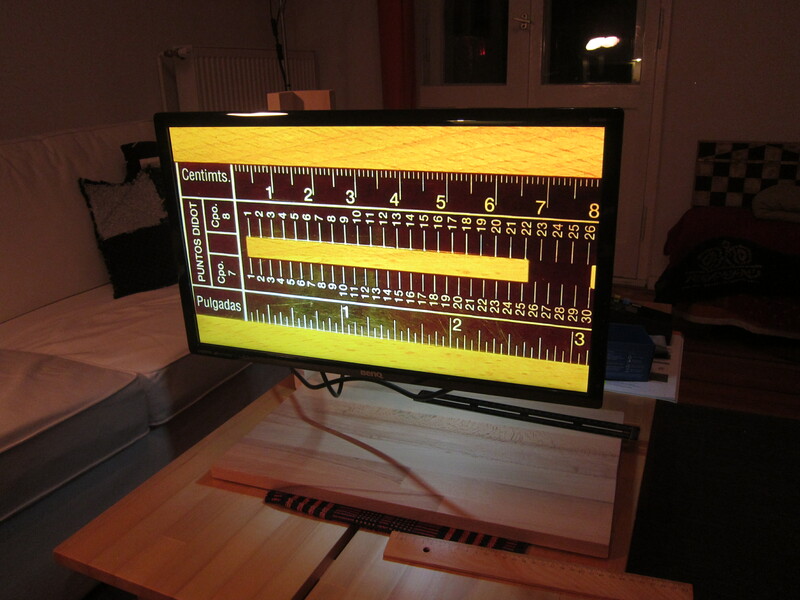 I built this video magnifier in 2014, so technology-wise it’s a bit outdated now. 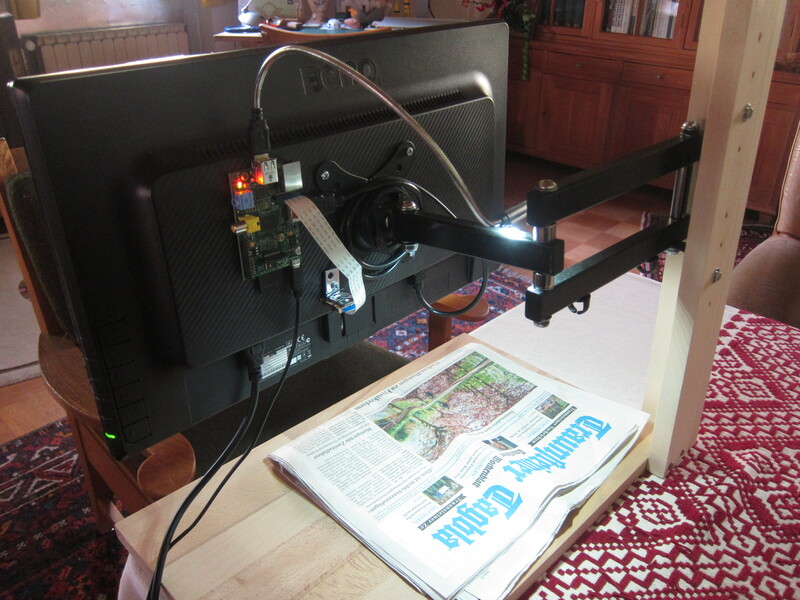 I hope to soon publish an improved version (Edit: Raspberry Pi video magnifier 2018). Until then, the instructions may still be helpful. With progressing age, my grandmother had more and more difficulties reading. Finally she was prescribed a video magnifier by her doctor, and her insurance agreed to pay the device, a professional one which cost several thousand Euros. Now she was again able to enjoy books, newspapers, letters and photos. She even baked again by recipe, although that meant to go to the living room, read another line in the recipe, keep mumbling it on her way back to the kitchen, and hopefully get one step further. That’s when I built a second device, this time simple and low-cost.